The Elizabeth Seton Women’ s Center is a ministry with a goal to “promote the holistic development of women so that their experience and gifts may be recognized and valued by themselves and others…” The Center is a resource for all women regardless of religious belief, age, income, ethnicity or sexual orientation. 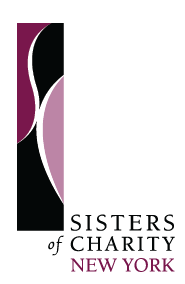 Programs and services focus on the spiritual life and inherent strength in each woman. In discussions and information sessions, a wide range of topics are explored and communities of common interest often arise naturally in the course of time. The Elizabeth Seton Women’s Center, directed by Ellen Mihovics, promotes the holistic development of women of all ages, races, economic and religious backgrounds. Its spiritual, educational and artistic programs help build women’s self-esteem and empowers them to create positive changes in their own lives. Programs and services direct women to their own wisdom and strength and their preferred spirituality. They will also provide information and involve women in discussion, sharing and developing possibilities for action. Women can network with one another and grow in awareness of how they can empower themselves and one another. The Center is a place where differences are honored, where there is reverence for the sacredness of every woman’s journey and where connections can be made that will nourish each woman so that she can make choices aligned with her own understanding of the person she is.Contact the Elizabeth Seton Women’s Center by email: director@elizabethsetonwomenscenter.org or by phone at 845.598.4189.